Acupuncture TCM can be a very effective and relatively inexpensive treatment method of TCM. It uses very fine single use, pre-sterilised, disposable needles to provide a medical treatment. 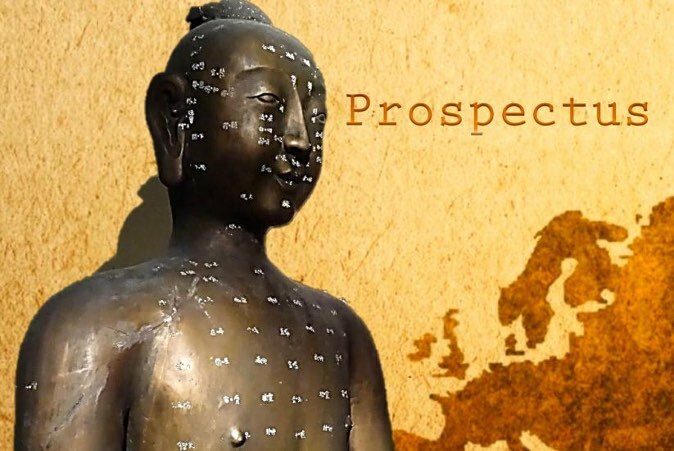 The Acupuncture practitioner uses the ancient and well-established principles and theories of Chinese Medicine to diagnose and treat the client. These are exclusive to Chinese Medicine. They do not rely upon other medical systems or diagnostic methods such as those used by Western Medical Practitioners. A person who is working as a Practitioner of Acupuncture TCM can be referred to as an Acupuncture TCM practitioner, a TCM practitioner specialising in Acupuncture or a Chinese Medical Acupuncturist. 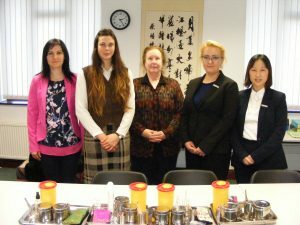 These treatment methods are all taught as part of our professional Acupuncture Training Programme, the Lic.TCM. Acupuncture TCM is used to treat a host of different medical conditions from the mild and uncomfortable to the seriously debilitating. The “Superior Practitioner” of Acupuncture TCM (as this type of person is referred to in the Chinese classics) aspires not only to treat illness but also to enhance health and prevent disease. Acupuncture is not the whole of Chinese medicine. Acupuncture is part, but only part, of TCM, just as, say, for example, Surgery is only part of Western Medicine. This is explained more fully in our booklet “Frequently Asked Questions”. The word Acupuncture only means inserting fine needles for therapeutic purposes. This could be done by someone who was not trained in TCM such as a Western medically trained doctor, nurse, physiotherapist, or other who might, at best, have only attended a short course. This is not what is taught at the ICTCM. 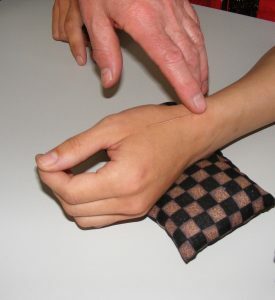 Some Acupuncture Training is purely symptomatic for example, “Use acupuncture point A for condition B”. This is not Chinese Medicine and this type of purely symptomatic acupuncture is not taught at the ICTCM. It is neither traditional nor is it Chinese Medicine. Other Acupuncturists do not stick to traditional techniques but use, for example, laser treatment and electro-acupuncture. These are not traditional methods of TCM and are not taught at the ICTCM. Acupuncture alone is not sufficient to attempt to treat every medical problem that might present. It is for this reason that TCM as an entire medical system involves much more than just acupuncture. A so-called “Acupuncturist” is not necessarily a fully trained TCM practitioner. Not all Acupuncture training is Acupuncture TCM training. So, in summary, the ICTCM is only concerned with Traditional Chinese Medical Acupuncture. If it is not Traditional, not Chinese and not Medical we do not teach it. In light of this, our professional training in Acupuncture ensures that graduates are fully qualified practitioners specifically of Acupuncture TCM as explained above. If you wish to find out more about this training programme, go directly to the Lic.TCM Programme. Continue to the next page on the Branches of TCM about Chinese Herbal Medicine.